Knights Keep, located off Guinevere Avenue – just two miles from the centre of Burton-on-Trent – offers a selection of spacious three and four-bedroom designs, starting from £303,500. The new community, being created by leading housebuilder, Redrow, has opened the doors to its show homes, and visitors are invited to take a tour and find out more about the homes, built with beauty and practicality in mind. Mary Timlin, sales director for Redrow Homes (East Midlands), said: “At Redrow we’re committed to creating thriving communities, so we are delighted to announce the launch of our latest development. “Knights Keep features properties from our popular Heritage Collection, which is loved by buyers as it brings together traditional, 1930s charm and contemporary luxury living. The collection is inspired by the Arts and Crafts era, reflected in the high ceilings, larger doors and generous floor spaces on offer, which combine to create a better way to live for buyers. The two show homes on display are the Cambridge, from £337,995, designed with both practicality and style at its core, and the Richmond, from £489,995, which blends timeless design with the finest of modern family living. Located on the edge of the picturesque East Staffordshire countryside, Knights Keep is perfect for those looking to strike the perfect balance between town and country life. 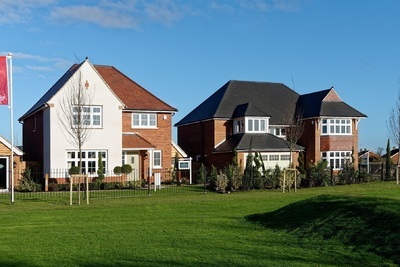 The development lies within walking distance of primary and secondary schools, and is just a short bus ride from the train station, with excellent connections across the region. Derby, Leicester, Nottingham, Lichfield, and Birmingham are all within easy reach. For more information about Knights Keep, see redrow.co.uk/knightskeep.